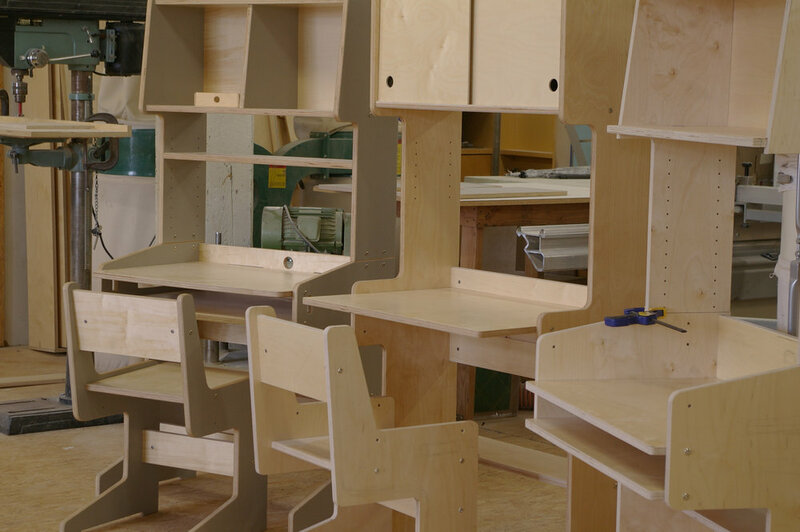 At Casa Kids, we have been in the business of designing and fabricating custom furniture in New York City for more than two decades. This year, incredible as it is to believe, we celebrate 25 years. More incredible still, is how much we still love what we do - we have long-standing relationships with our customers, have watched children graduate not only from our cribs but from college and take enormous pride in the continuous innovation of our team. 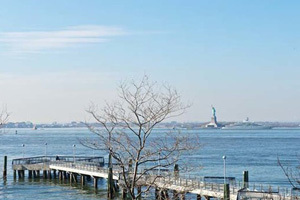 We have long been known for our bunk and loft beds, and in a city like New York, how could we not be? But, today we take a closer look at the desks that have grown alongside our bed and room designs over the past 25 years. I designed my first desk from my Tribeca apartment, what was then my studio, in 1995. What started as a bit of playful sketching was destined to become the ConnectMe Desk and was featured in the MoMa Store for many years. Though the design has evolved, its bones remain solid and this is still - more than 20 years later - a popular design among our customers. Today, the ConnectMe Desk system features an adjustable desktop, the highest setting being appropriate for most adults so that the piece evolves as a child grows. Rear wire holes and a low shelf for placing routers, surge protectors and wiring ensures that clutter is minimal. Two shelves above the desktop allow for plenty of space for storing books and folders, while plenty of clearance remains for a computer (none of which were concerns in 1995, but our designs have never been stagnant). The Treasure Desk was originally designed for a now-closed Disney catalogue and remains one of my favorites. This sweet, compact desk may be small, but I have seen it become an entire ecosystem for a delighted child who knows that she can munch, draw and store secret treasures all in one place that’s all her own. Though I no longer sell it, the Saw Horse Desk remains a fond memory of those early years when I was, perhaps, spending too much time in the shop! Inspired by the daily movement of wood shop life that was and continues to be my world, this original piece was a delight to design and made more than a few young aspiring woodworkers very happy. Designing desks for children is still one of my favorite things to do. 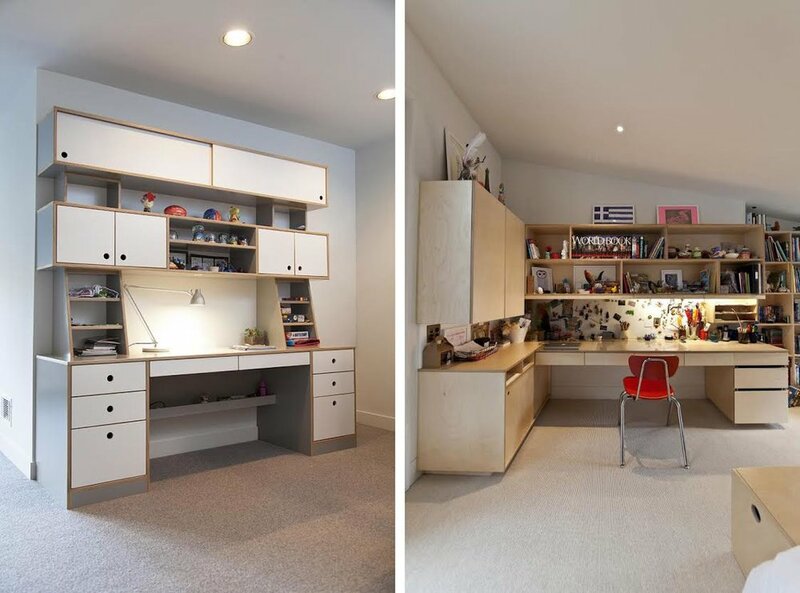 I love the idea that the spaces we create become universes for young minds to inhabit, create and grow, and our playroom desks always do "double duty," making parents happy, too, by including drawers or storage under the seat to keep clutter at bay. Over the past 25 years, in fact, my designs have expanded and evolved to accommodate older children, parents and, grown ups in general, and today we offer an entire line of sophisticated home office solutions for urban living.